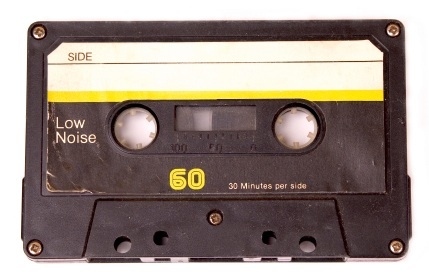 How Can We Recycle Old Cassette Tapes? I’m getting ready to move, which means I’ve started the unholy task of packing. Boy, do I hate packing. I do my best to keep down the amount of clutter in my home, not only because it’s eco-friendly to buy less stuff, but also because I cannot stand junk lying around. Still, it feels like I have a lot of stuff when I try to pack and move it all. I was cleaning out a closet the other day and came across some cassette tapes from a certain few ’80s bands WHO SHALL REMAIN NAMELESS. Admit it; you know you enjoyed some terrible music in your formative years, too. After I finished trying to remember the numerous dance routines I made up in my backyard to these gems, I decided I should get rid of ye olde technology. Which brings me to my question: Does anyone out there know a place that will recycle cassette tapes? I don’t want to throw them in the trash, but I’ve looked online and I’m having trouble finding someone who will take them. I’m willing to send them someplace in the mail if there’s no place to recycle them locally. They’re not just tapes I bought with my allowance back in the day; there’s a few mixed tapes in there too. While we’re at it, I also have a bunch of old floppy disks. Remember when computers had disk drives? Ahh, those were the days. Anyway, I’d also appreciate any suggestions on places to recycle those. Okay, fine. I have Genesis tapes, okay? I liked “I Can’t Dance” when I was 10. You may now commence mocking. Courtney- First off I would never mock someone for having old Genesis tapes.